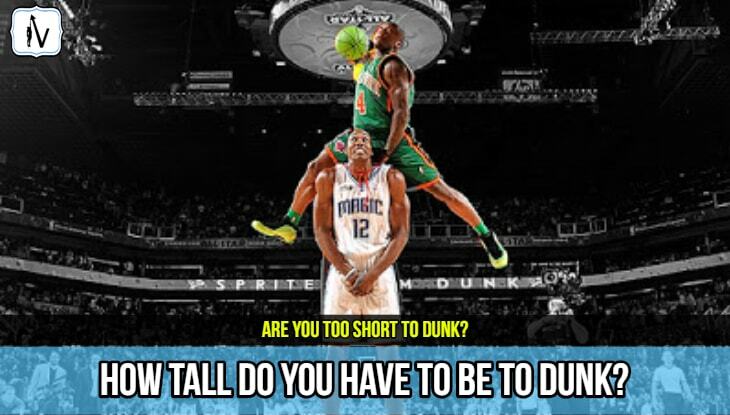 →How Tall Do You Have To Be To Dunk? + How Short People Dunk! One of the most common questions we get asked is "How tall do you have to be to dunk a basketball on a 10 foot rim?" This is a great question that deserves attention and is very relevant to the process of vertical jump development. After all, it is the dream of any basketball loving kid to one day grow up and dunk a basketball. Unfortunately many basketball players seem to give up on their dream of dunking because they are under 6 ft tall. Most "short" people simply believe that it would be impossible for them to dunk. The reason why many people feel this way is probably due to the fact that the average NBA player is around 6-feet-7-inches tall. Guys like Michael Jordan and Lebron James have incredible vertical jumping abilities and tend to make dunking look effortless. However it is important to note that their are plenty of short NBA players that can dunk with the best of them. It is important to note that there are also many tall players around the world that can't dunk. Regardless of your height, with the correct jump training and consistent effort you can achieve your first dunk. How High Will YOU Need To Be Able To Jump To Dunk? How Difficult Will It Be For You To Dunk? Measuring standing reach is always the first step of the vertical jump testing process. Standing reach is simply the highest point that you can reach with one arm while standing. Simply dab a little chalk on your finger and touch as high up on the wall as you possibly can, with your feet flat on the ground. It is important to note that standing reach is not proportional to height. Some people are blessed with super long arms. Obviously the longer your arms are the less height you will need on your vertical jump to be able to dunk. Almost 50% of NBA basketball players have a reach-to-height ratio of between 132- 135% greater than their standing height. Lakers point guard Rajon Rondo stands 6' 1" tall however his wingspan is a crazy 6' 9". Luol Deng who at 6’7″ was measured with an 9′ 0.5″ standing reach. Have you got long arms? Measure your standing reach today! Maybe you do! If not you will just have to learn how to jump higher. The other determinant of whether you will be able to dunk or not is obviously your vertical jumping ability. 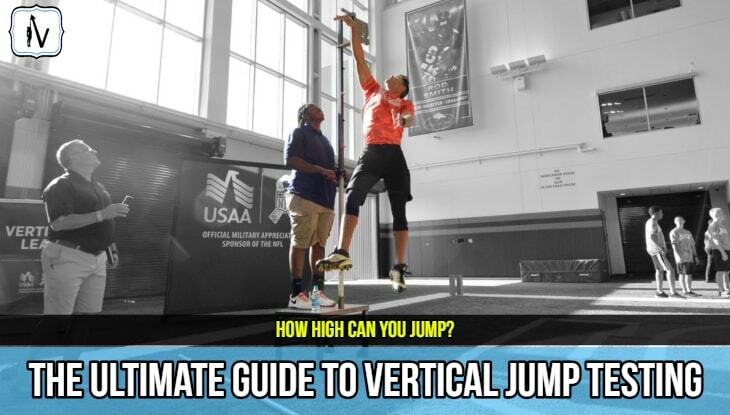 There are many ways to measure your vertical jump accurately. ​Some are cheap and convenient, some are high tech and expensive. Be sure to read our guide on this subject to determine the best way to ​test your vertical jump height. 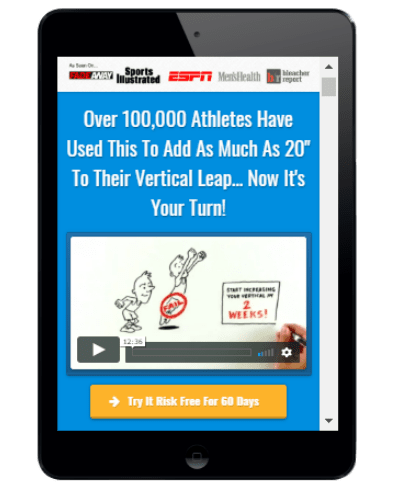 If you tested your standing reach and realized that you have "short arms" then vertical jump testing will help you determine exactly how high you will need to jump to dunk. 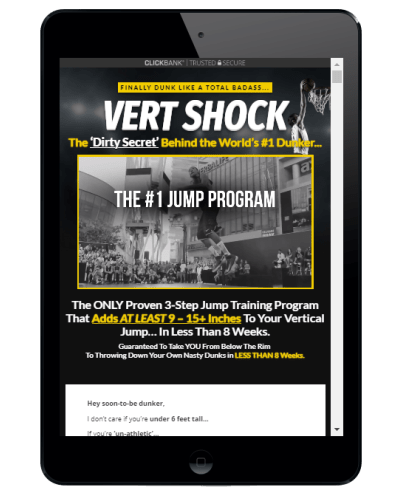 There are plenty of proven and effective vertical jump programs out there that can add anywhere from 10-30 inches to your current vertical jump. We also have some dunk training tips on our site that you might find helpful. 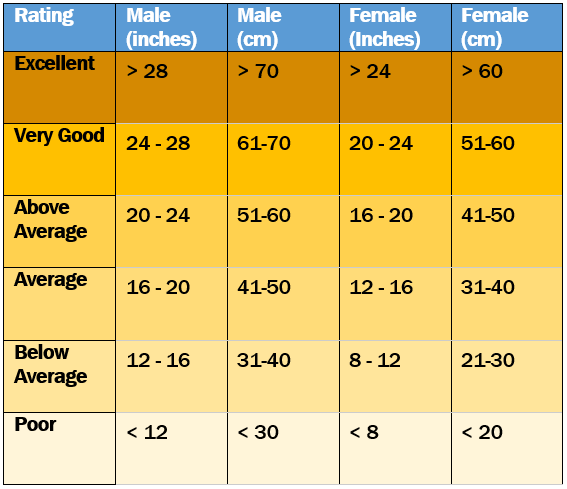 Below is a chart that will give you an idea how your standing vertical jump height measures up to the norms and elites. Note: Don't forget that a running jump is likely to give you a few extra inches to your jump height. Ok, now that you have determined your current standing reach and tested your vertical jump height it is time to find out how difficult it will be for you to actually dunk a basketball. This is just a general guide based on height and assumption of an average arm length, 6-14% body-fat levels and general good health and fitness levels. If you are under 5' 7" tall it will not be impossible to dunk, but it will require maximum effort and commitment on your behalf. For example lets assume that your 5'10" tall and have an arm span around the same length as your standing height. If this is the case you will have a standing reach of around 7' 8". In this case you’ll need to jump about 28 inches to touch the rim. To be able to dunk a full sized basketball you will need to achieve a vertical jump of around 34 inches. As you can see from the table above, a vertical jump of this height well above the average. 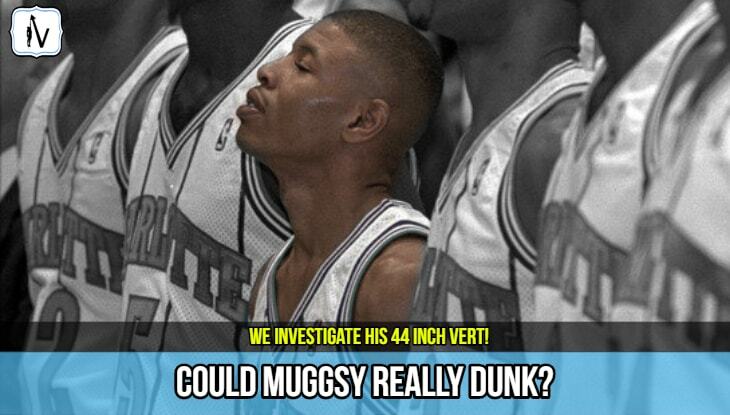 But hey, if Muggsy Bogues at 5' 3" tall could get up that high then why can't you? Once you start getting closer to 6 foot tall dunking ​starts to become a little easier to achieve. At this height you will need to jump around 23 inches to touch the rim and 29 inches to dunk a full sized basketball. Of course this is once again assuming that you have an average arm length. To be able to dunk at this height you will need to follow a combination of weight training and plyometric exercises. The creators of Vert Shock have created a page featuring some of their customers testimonials. 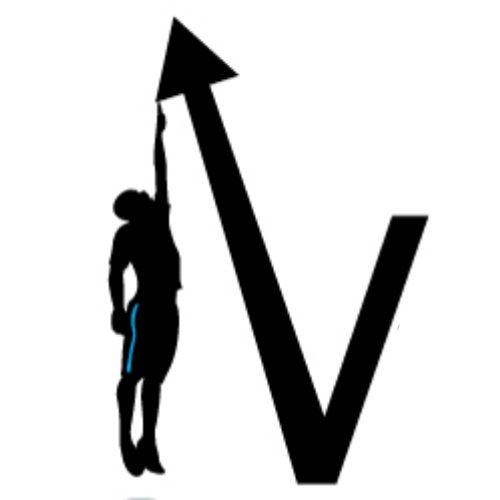 There are some very inspirational vertical jump success stories and videos to read and watch. Some of the guys getting great results are in the 5′ 8″ – 5′ 11″ height range. If you are considering purchasing a jump system you should definitely take a look. It is at this height that you start to see many genetically gifted people be a able to dunk without any specific structured jump training. Think Vince Carter for example. It is important to not compare yourself with "genetic freaks" like Vince. In a way they got it easy. The rest of us have to train hard to earn every on our vertical jump. The creator of The Jump Manual (current rank #1) has collated some his customers most noteworthy testimonials from over the past decade. As you will see there are some very impressive results. Some of the guys getting great results are in the 6′ – 6′ 4″ height range. If you are over 6' 4" dunking should come a little bit easier to you. However in saying this if you are that tall but are overweight or have weak jumping muscles then you can't expect to be able to dunk with ease. The bigger you get the more important it is to optimize your strength to power ratio. The bigger you are the more bone and muscle you have and therefore the greater the forces required to overcome gravity. Larger individuals tend to do well on hybrid jump training programs such as the best selling Jump Manual by Jacob Hiller. However, there are a many mobilization and activation exercises that you can do that can help get the extra inches you need to throw down. 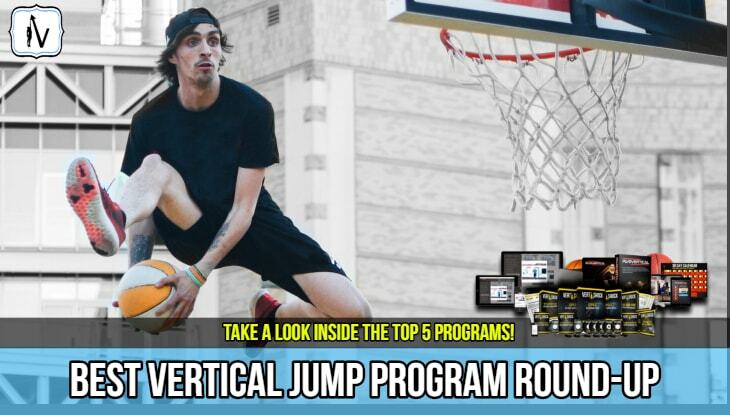 Checkout all of our Vertical Jump For Basketball Articles to learn more.